To crop an image, click and drag the mouse to the image to select the desired part. If satisfied with the desired part, click the crop icon in the Edit Media toolbar. You may click the help link beside the image crop title to help you with cropping the image. 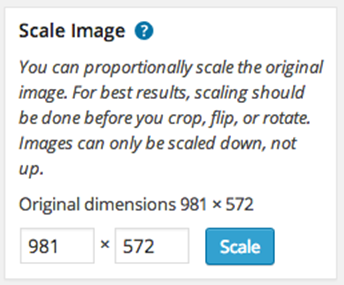 When you wish to scale an image, click Scale Image on the right part of the page. 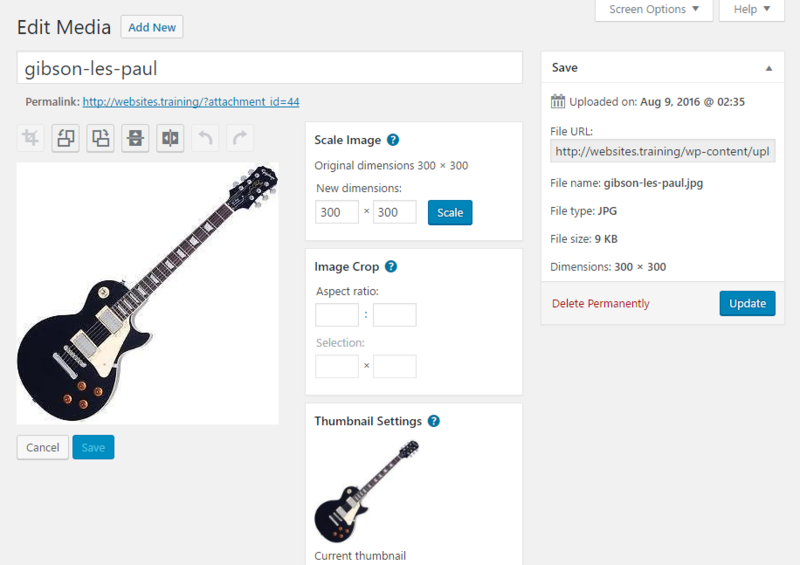 Change dimensions according to your desired size and hit the Scale button. When done editing, you may hit Save and Update Media, to save the changes you have made.